Verena Bitter is an associate in the Brussels office of 365 Sherpas Brussels. Prior to joining 365 Sherpas Brussels in March 2019, she was last in the European Parliament in budgetary policy. She also gained practical experience at the Institute for Industrial Management at RWTH Aachen, KPMG Luxembourg and the Brussels Representative Office of the Berlin Economic Development. She obtained her master’s degree in Maastricht at the University of Maastricht with a focus on Public Policy & Administration. Here she focused on the processes and actors of the legislative process at EU level as well as the content analysis of various EU legal acts. 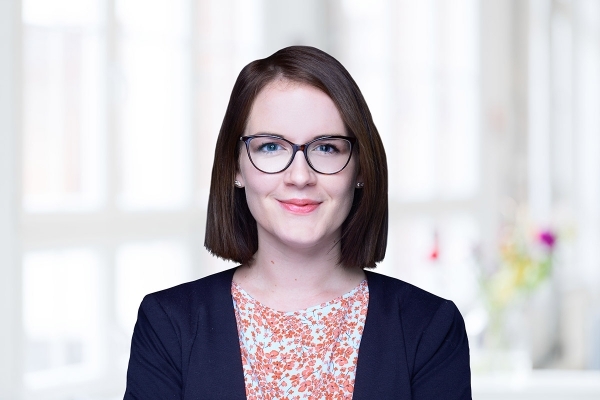 Verena discovered her passion for European politics during her undergraduate studies in political science and public law at the University of Trier and the University of Tampere in Finland. She speaks German, English and conversational French.